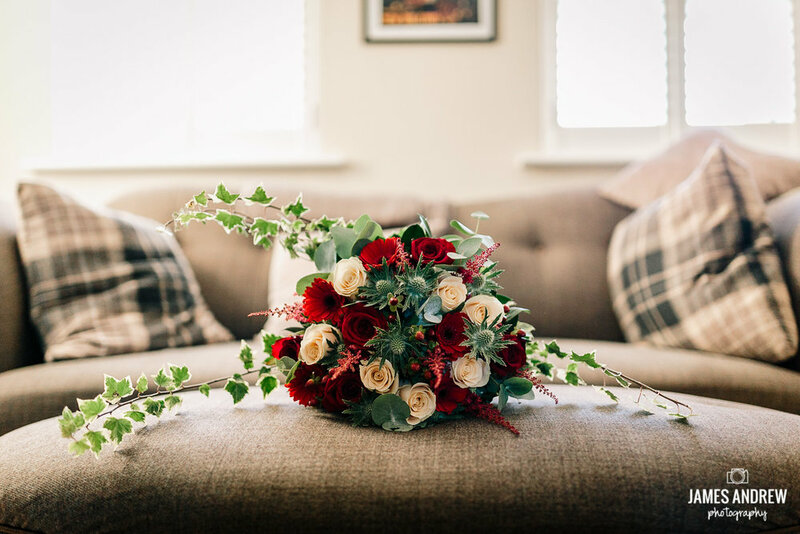 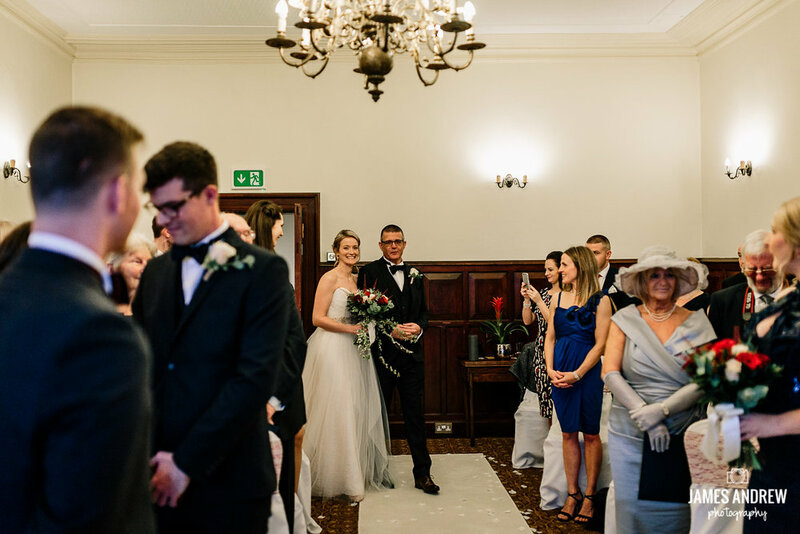 Lauren and Tom flew all the way from their home in the USA to get married in front of their friends and family here in Cheshire, UK. 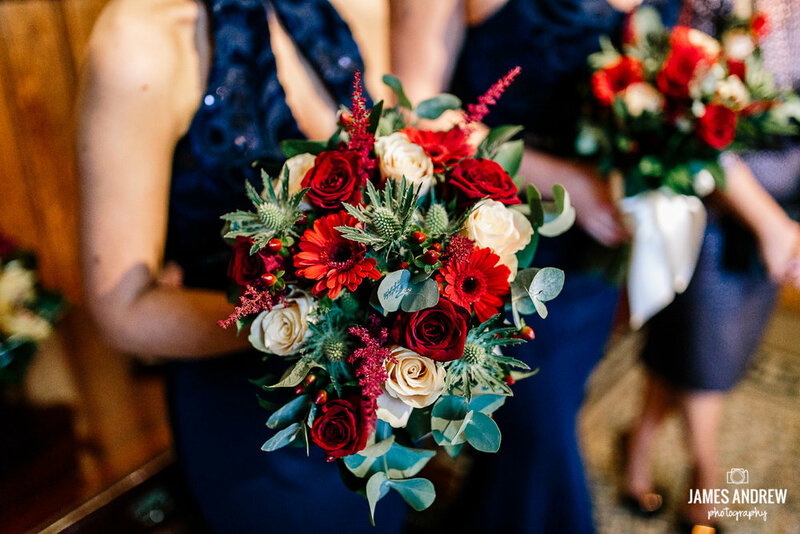 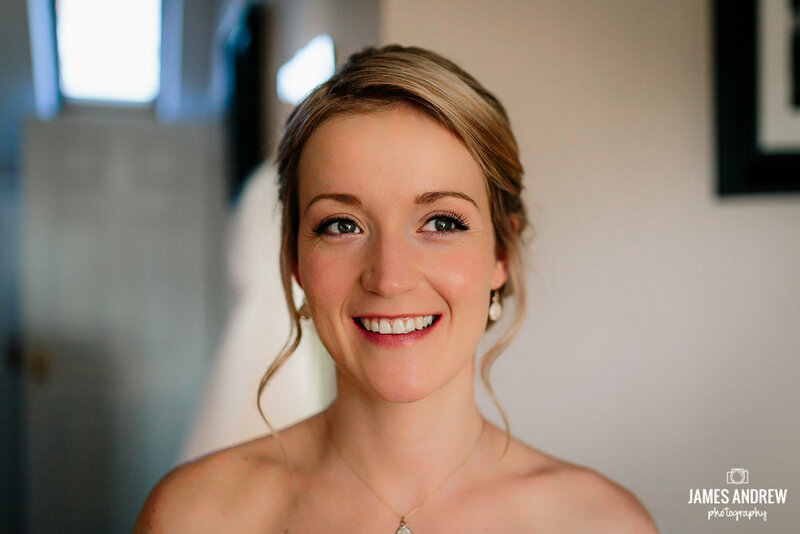 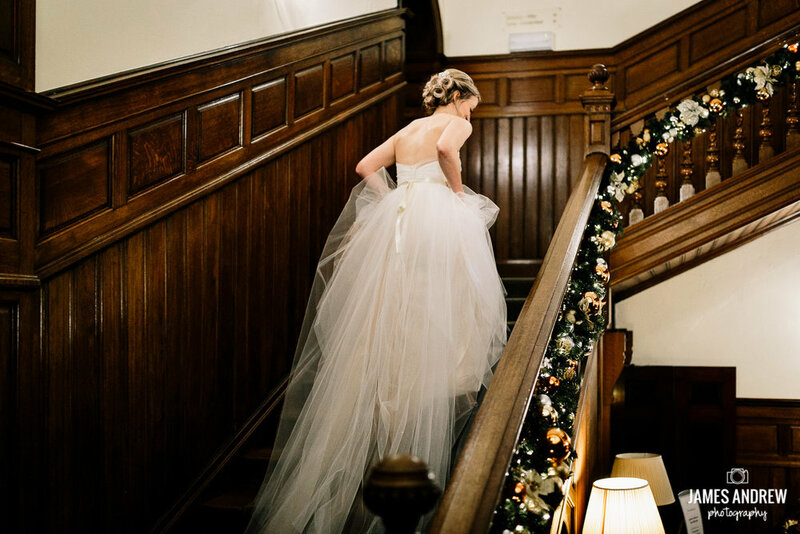 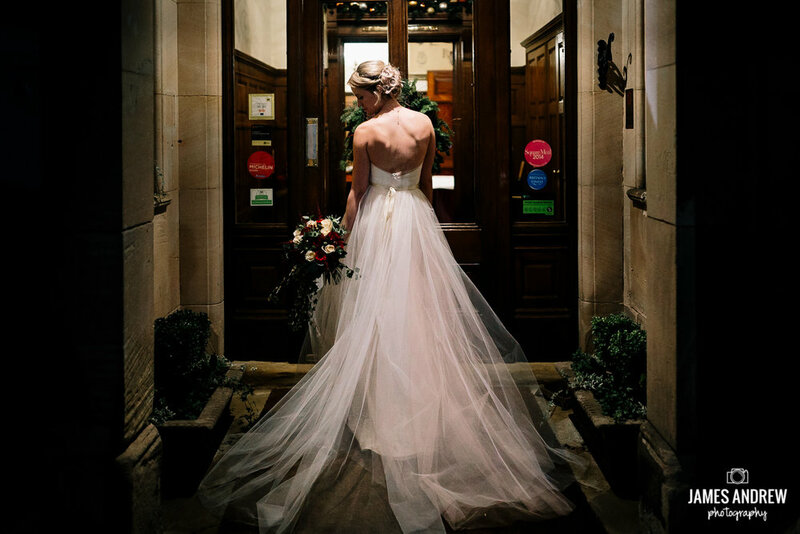 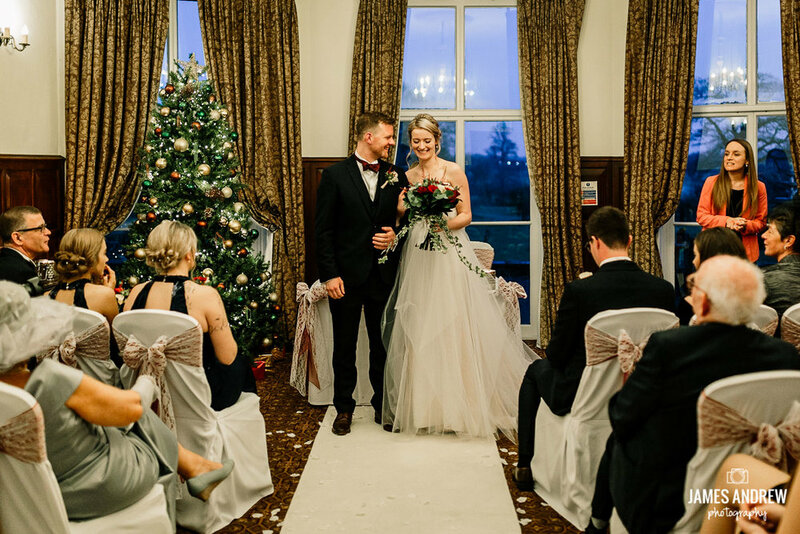 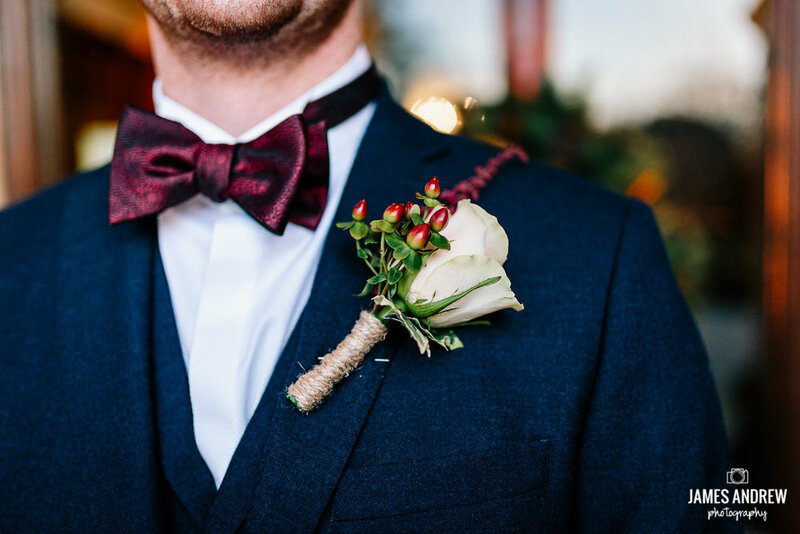 A chic Christmas wedding in the grand setting of Rookery Hall, a festive feast! 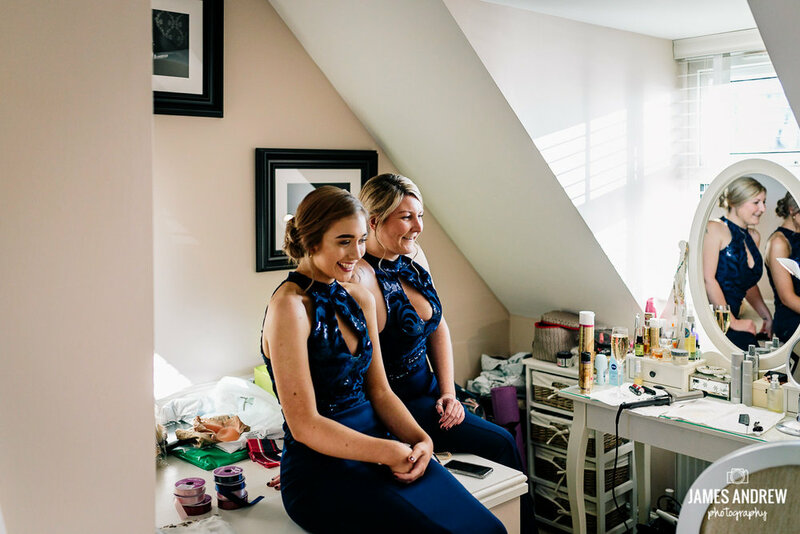 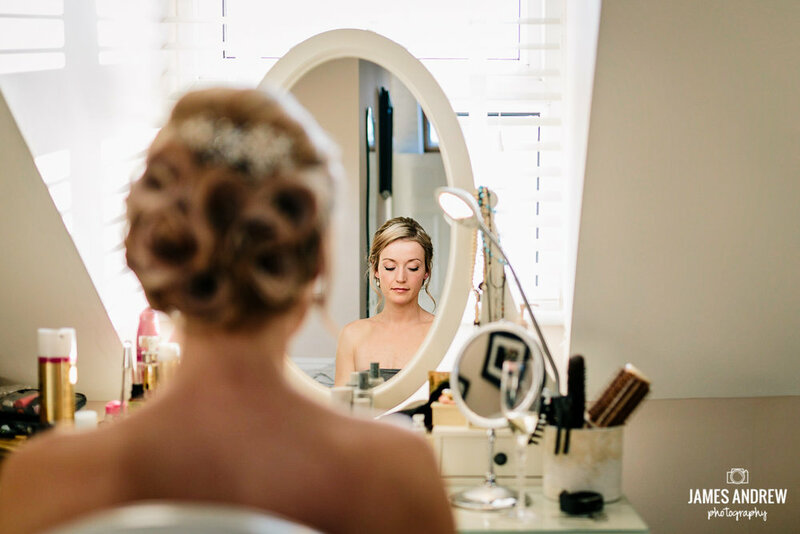 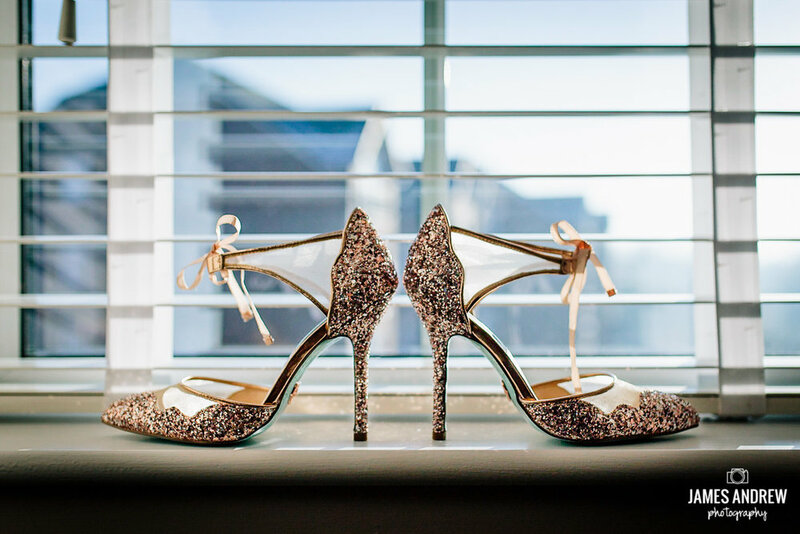 Lauren got ready at home with her bridesmaids and rocked a pair of amazing sparkly shoes she brought from America. 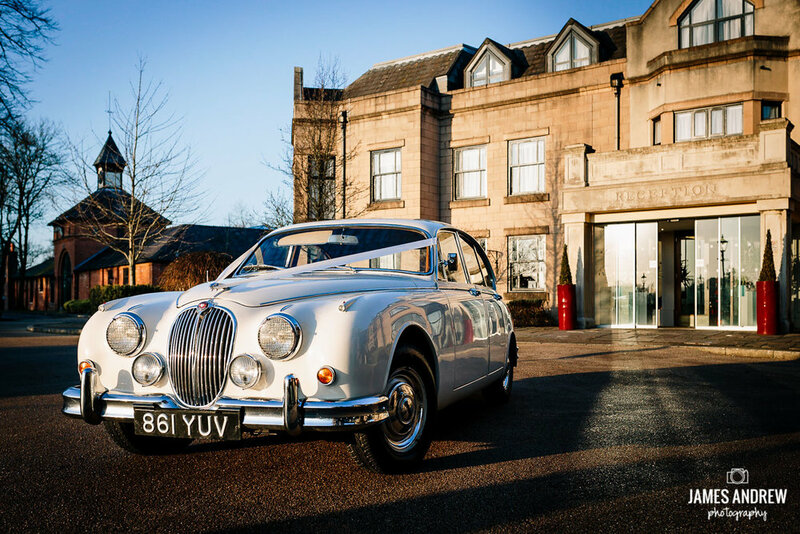 Meanwhile Tom was chauffeured to the venue in a classic mark 2 Jaguar, proper James Bond stuff! 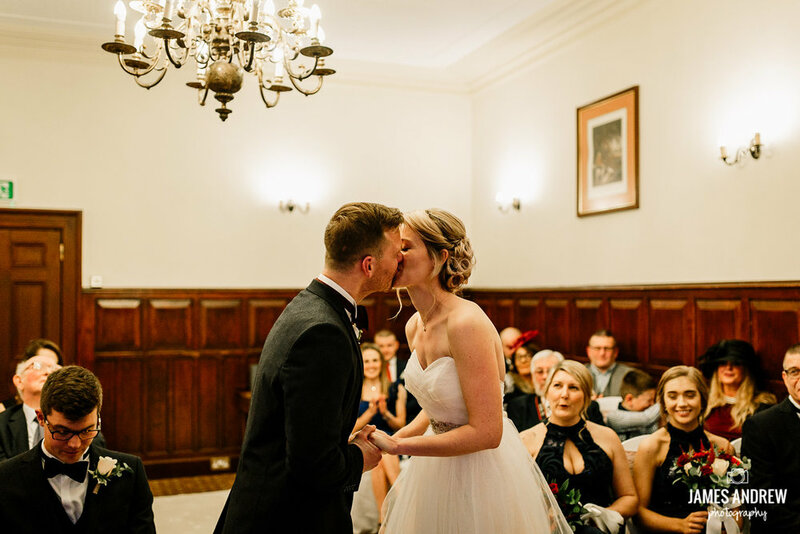 Their intimate ceremony took place in the cozy lounge in front of a Christmas tree. 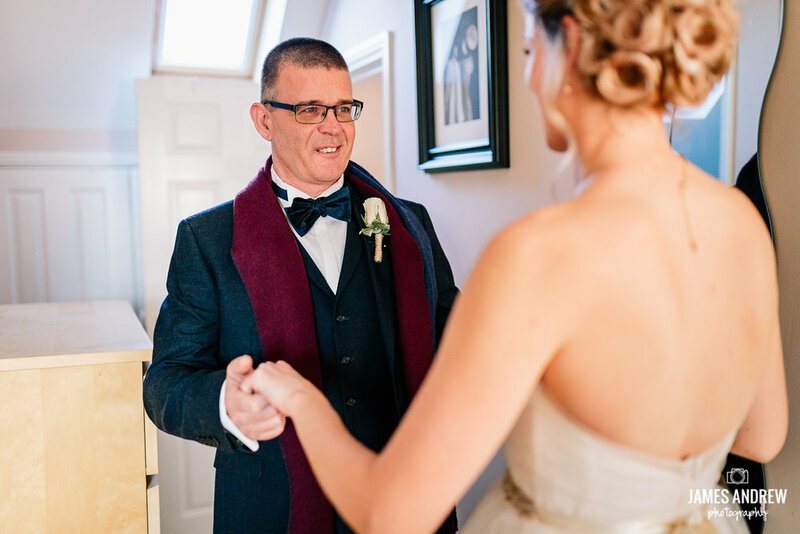 Emotional readings from grandparents had me welling up behind the camera and the rest of the room in tears! 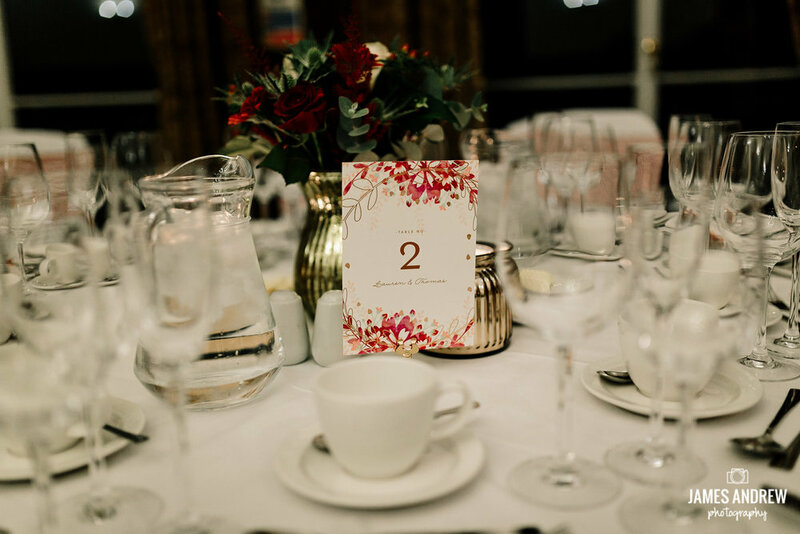 Everyone sat down to a festive banquet and enjoyed speeches from the usual suspects and an impromptu poem from Lauren's younger sister. 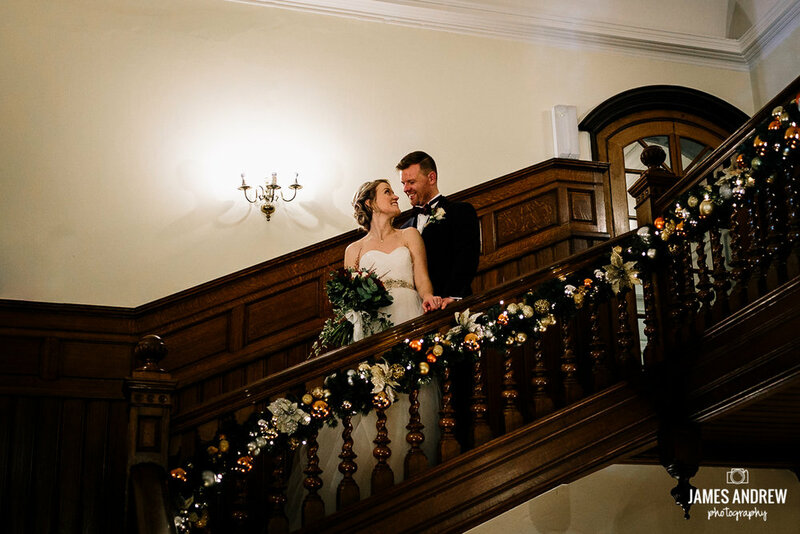 After dinner we took some awesome portraits on the Georgian staircase, and even pulled off a night time shot in front of the grand hall!